The £22 million project to create the Newcastle Sixth Form College has provided a state-of-the-art world-class learning environment. The 11,000 square metre building is the only dedicated sixth form college in the city of Newcastle. Designed specifically to meet the needs of 16 – 18 year old students, it incorporates specialist facilities including dance and drama studios, science laboratories and art/design workshops in addition to large social spaces such as a bistro and internet café. Achieving the optimum indoor environment for learning was a key requirement for the new college. 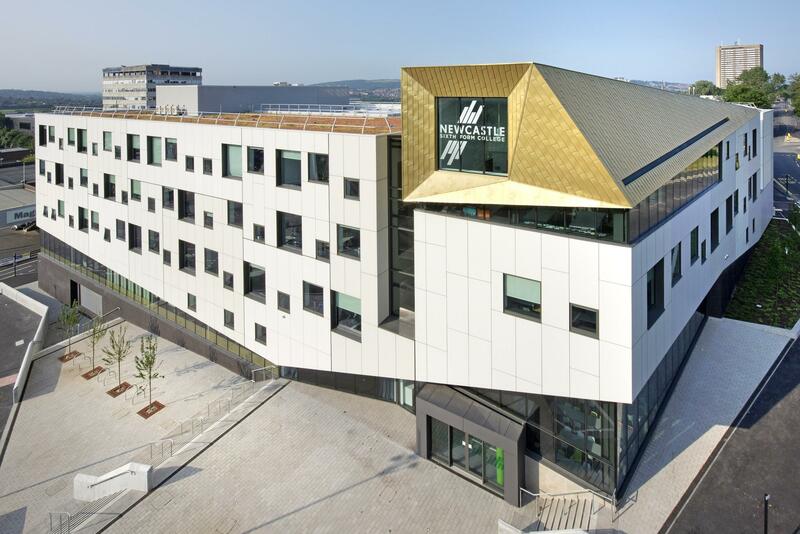 Equally important was the energy efficiency of the building, which has been designed with a number of sustainability features, including a 'green roof'. A key challenge was how best to cater for widely differing occupancy levels in zones across the site throughout the day. Optimum comfort conditions for students and staff needed to be maintained whilst ensuring that the HVAC system could adjust to match demand to prevent wasted energy. 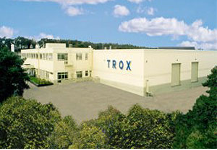 The MSCBs are based on the energy-efficient air-water technology of the popular TROX model DID632 active chilled beam. These units are ideally suited to areas with high cooling loads, combining the aerodynamic properties of ceiling diffusers with the energy benefits of load dissipation using water. They are particularly suitable for low false ceiling voids in new buildings and for the refurbishment of existing buildings with clear room heights between 2.6m and 4m. The multi service chilled beams installed at Newcastle Sixth Form College supply heating, cooling and ventilation throughout the building as well as incorporating lighting. As the units are extremely easy to maintain and do not require cleaning they offer significant benefits for the demands of a busy academic site such as this. In addition, TROX variable air volume flow rate controllers have been installed to ensure that energy usage can ramp up and reduce down in line with changing occupancy levels in each zone. Based around the active DID632 chilled beam the multi service chilled beams incorporate luminaires.